Today Apple launched a beta site for iCloud.com where developers can test the new web features. The new features include Calendar improvements, the addition of notes and reminders, and improvements to the Find my iPhone application. To be able to get in you must have an iOS iCloud account running on iOS 6 beta or I believe an iCloud account running on OS X Mountain Lion. If you have an iCloud account with those then head to beta.icloud.com and sign in! 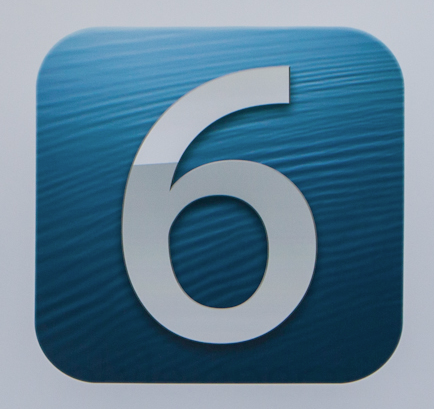 Yesterday (yes I am late) Apple released iOS 6 beta 2 for members of the iOS developer portal. The update contains bug fixes, more bugs added, and some new features which I will add later. To download and install you must be part of the developer portal. You can either download the software from Apple’s Developer Portal or if you are running iOS 6 already go to Settings>General>Software Update> Download. The Gears should spin inside the settings app but no the home screen icon stays still. So go and get it if you haven’t yet! So if you are running Mountain Lion beta 4 then go and get the update! Or wait for the push notification saying it was installed and you need to restart your mac! Happy downloading. Safari lags when trying to change orientation to full screen landscape or will quit entirely. Apps will not install over 3G. Apps will get to “Installing” and then an error message will appear. Siri will post to facebook but has an error posting to twitter. (Update) Keyboard clicks don’t always happen. If you have found any other bugs please leave a comment below saying the bug and what device you are running or use the form below. iOS 6 beta has been with us less than a week and I actually love it. I didn’t think I was because some things just didn’t make it that I really wanted it to but yes I love it. However the reason may surprise you. It isn’t the new maps because I am running an iPhone 4 that doesn’t get then. I have Siri on my iPad but that isn’t it either. It isn’t even the way the apps look a new blue with a status bar of many different colors. It’s the redesigned App and iTunes store! Some of you are probably thinking in crazy but here’s why. I had the original 3G on 2.0 when the app store first made its debut into the world. However it has been like that from 2.0 to 5.1! However it has changed! We all know the frustrating feeling when you are browsing for apps and you find one you like. You don’t even need to press the app section to download it anymore! Just hit the price and buy it. Also we know the feeling when we want more than one app but the app store brings you right back to the home screen. Bleh! No more! Now it will give you a little progress bar and will allow you continue to browse the store saving you some time. This is all available on the iPad too! 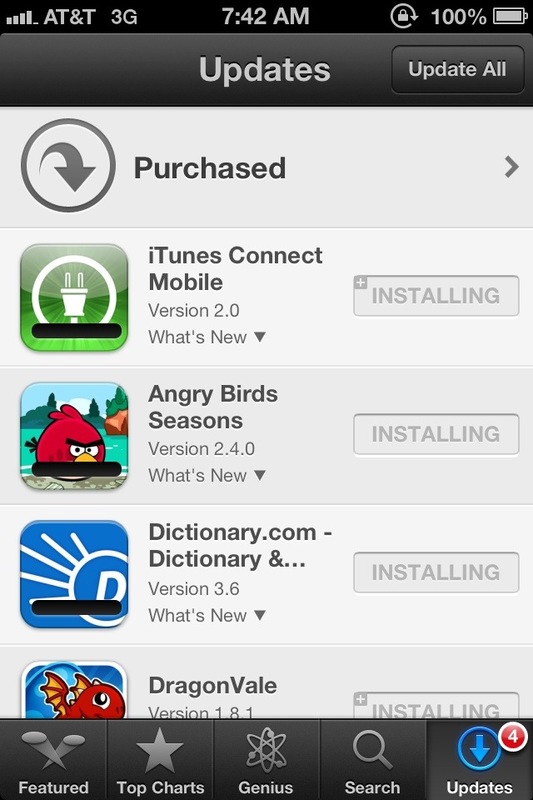 I love the design and the functionality in the new app store and iOS 6 in general. I am going to be in a class while the announcement is happening today… However that isn’t going to stop me from bringing you what is going on in wwdc 2012! I will be tweeting or retweeting everything interesting on @apples_genius twitter feed. The widget is to the sidebar for updates and you can visit the twitter page as well! Enjoy! WWDC is tomorrow morning for some and the afternoon for others. I am going to try and live blog the event tomorrow as best I can but before we go into all the rumors of what we are going to see I want to take some time and focus on the main thing I am excited about and that is iOS 6. A few days ago I said what I wanted to see from the jailbreak onto the actual operating system but this is going to be what I actually think is going to happen. Let’s be honest the home screen of the iPhone is BORING! It has remained almost unchanged sense 2007. 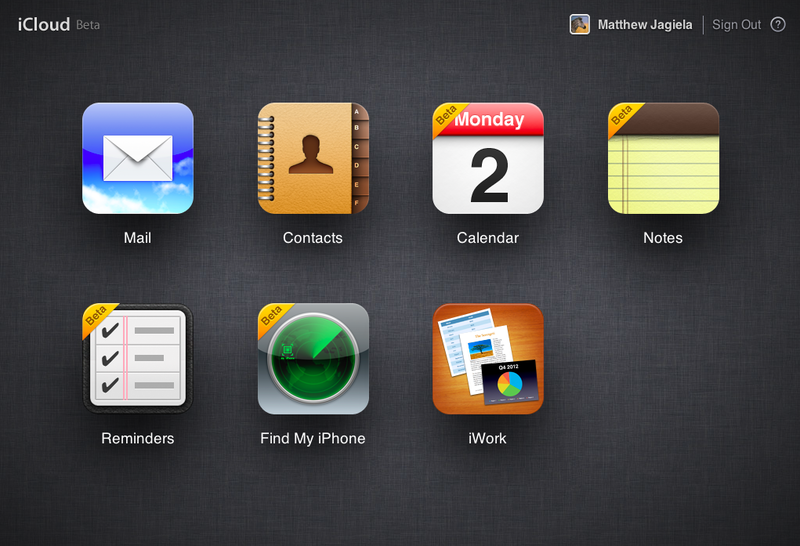 Actually I think the only thing that has changed is folders and being able to move apps around. I think it is time for widgets or themes. Not enough to kill the battery but maybe to see a new tweet, facebook, weather, news update, whatever. Or to customize your iOS device exactly how you want it. I think this is going to be a big thing for iOS 6. I posted this a few days ago I posted a rumor from 9to5mac and I honestly think it will happen. It seems like a right move as the new iPad has dictation and just needs the functionality. One of the reasons I don’t think they released this with the new iPad is because it is still in beta for the iPhone and I don’t think they had how it would look done yet. I do think we will see this tomorrow. Apple’s own 3D maps are going to be in the native maps application instead of google’s which is almost confirmed now, however what I want to see is the option for find my friends to be built right into the application so maybe more people would start using it. I think one thing iOS needs is widgets. I said in the revamped home screen something to tweet or post to facebook and see what is happening around you. We have 2 widgets now Stocks and Maps and they are BORING. Come on Apple give us some widgets! When the iPad was released I had noticed there were some apps missing. Today the weather,stocks, and clock app are still missing from the iPad. All of these could be added with the addition of widgets in iOS or there could be an App that could combine them all into one. Have a 3-4 grid (add something) and have weather in a corner, stocks in a corner, etc. I said this in my jailbreak post that the only reason I keep going back to the altered world of iPhones is because I hate getting pulled out of my apps to answer texts. We have the best Mobile OS of any phone or tablet out there it is time to let us reply from in apps. I don’t like the way iOS handles multitasking. Well I don’t like the grid. I would like to see a view where you can see a little preview of what is going on in every app running. Sort of like webOS. Make it happen.